For Talk #2, we are delighted to have Mr Lai Chi Wai, also known as the “King of the Bun Scrambling Competition”, who was once the world’s no. 8 rock climber, a 4-time winner of the Asian Rock Climbing Championship, and the world’s first Chinese winner of X-Game, to share his motivational story with us. 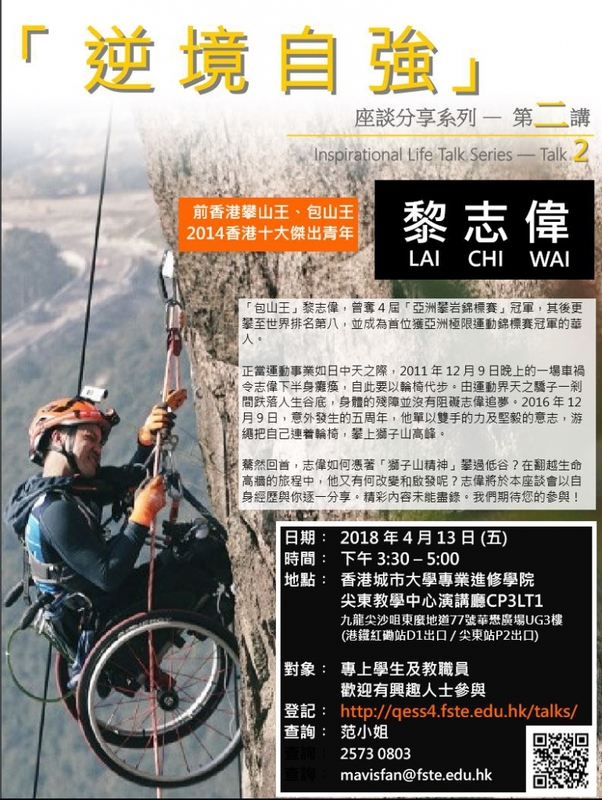 Students and colleagues of FSTE Member Institutions are welcome to join, sign up at Inspirational Life Talk Series – Talk 2: Lai Chi Wai.